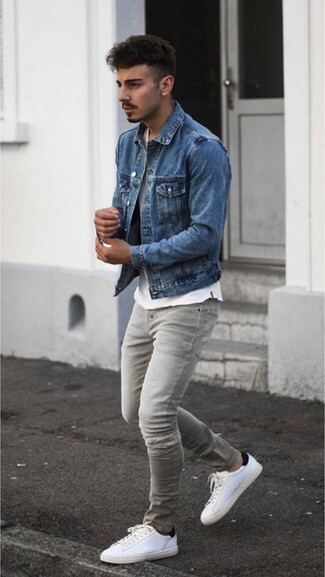 If you're on a mission for a casual yet sharp look, consider teaming a blue denim jacket with khaki cargo pants. Both of these pieces are very comfortable and will look stunning when paired together. 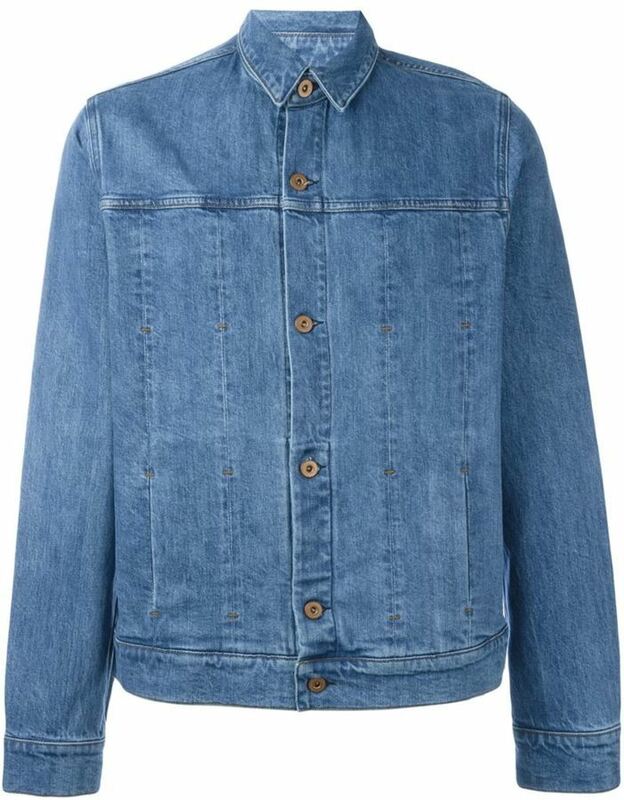 For something more on the casually edgy end, team a blue denim jacket with black skinny jeans. Dial up this whole look by rounding off with black athletic shoes. 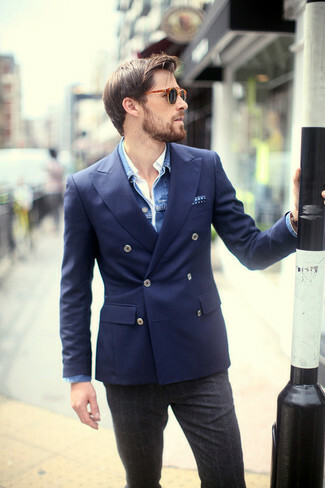 If you're after a casual yet dapper look, try teaming a natural selection wells denim jacket with black skinny jeans. As well as very comfortable, both of these pieces look wonderful together. 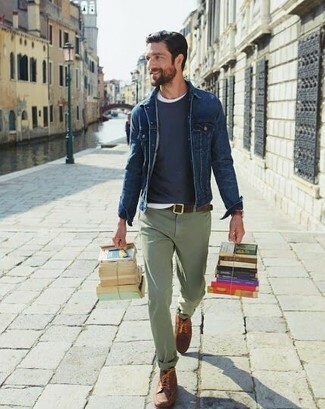 If you're looking for a casual yet stylish look, go for a natural selection wells denim jacket and olive chinos. As well as totally comfy, both pieces look incredible when worn together. Opt for a pair of brown leather casual boots to take things up a notch. 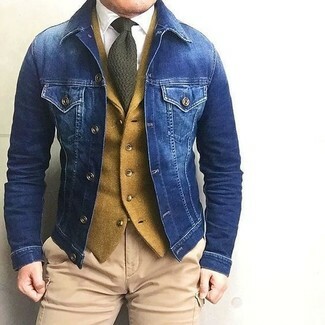 For a casually elegant outfit, team a blue denim jacket with charcoal plaid wool dress pants — these two items go nicely together. 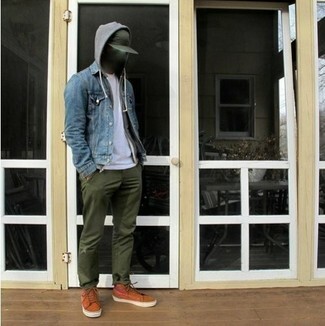 If you're looking for a casual yet stylish outfit, rock a natural selection wells denim jacket with olive chinos. These two items are super comfy and they will also look great together. Want to go easy on the shoe front? Throw in a pair of tan high top sneakers for the day. 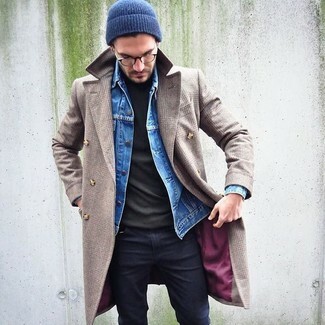 If you're on the lookout for a casual yet seriously stylish getup, choose a natural selection wells denim jacket and burgundy chinos. These two pieces are totally comfortable and will look great paired together. 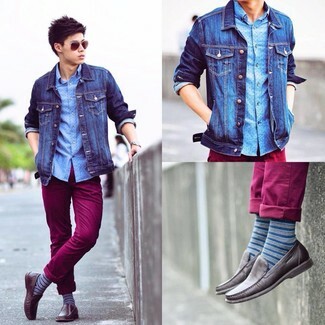 When it comes to footwear, this look is finished off nicely with dark brown leather driving shoes. 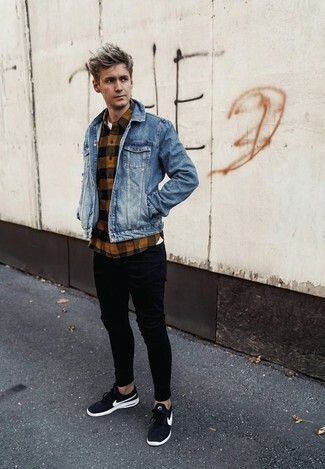 If you're scouting for a casual yet stylish ensemble, team a natural selection wells denim jacket with grey skinny jeans. As well as totally comfy, both of these pieces look fabulous when worn together. A pair of white leather low top sneakers will seamlessly integrate within a variety of combinations. 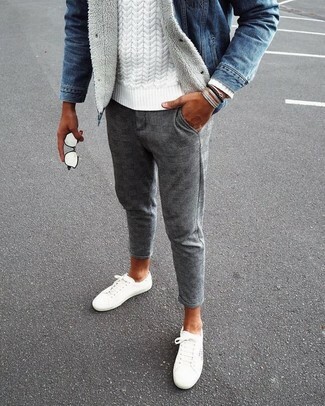 If you're in search of a casual yet sharp look, go for a natural selection wells denim jacket and grey check wool chinos. As well as super comfortable, these garments look great when paired together. With shoes, make white canvas low top sneakers your footwear choice.